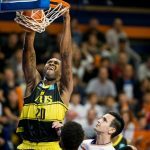 The 7Days EuroCup resumed its Top-16 action on Tuesday with Round 3 being ushered in by three games. We got one game each from groups E, G, and H.
In Group E, AS Monaco temporarily claimed the top spot with 68-72 win over Partizan in Belgrade. 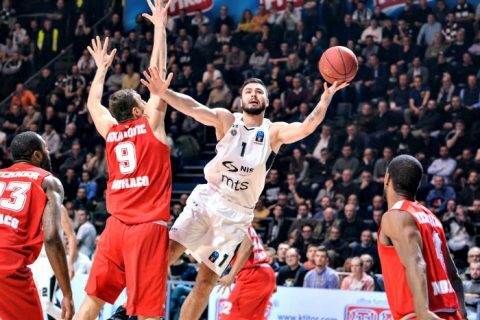 They move up with a 2-1 record, while Partizan slides to fourth out of four with a 1-2 slate. It was crucial road win for Monaco considering the top-16 are set to only play a total of six rounds. Eric Buckner was perfect from the field, going 4-for-4 to help power his team to victory. Jarrod Jones set the tone for the starters, dropping a 16-point, 11-rebound performance on the night. He had the hot hand for Monaco, sinking 4-of-7 from deep. Monaco was in control of the game for the most part and even set up a 21-point lead over their hosts. Partizan tried to make a valiant push late in the game, but Monaco was able to hold it together on defense and keep their advantage and eventually the win. In Group H, MoraBanc Andorra bagged a road-win over their own. 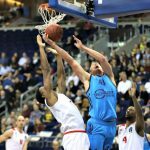 Theirs came at the expense of formidable foes, Zenit St. Petersburg, 71-80. Andorra has yet to lose in the top-16 and now have a firm grasp of the lead in the group. Dylan Ennis and John Shurna spearheaded Andorra’s attack with 19 and 17 points, respectively. Jalen Reynolds double-doubled for Zenit but his heroics would not be enough to carry them to victory. In Group G Limoges CSP Elite suffered a terrible loss at the hands of Unicaja Malaga 79-72. Limoges is now 0-3 in the 7Days EuroCup after three rounds, putting them in a veritable must-win situation in every succeeding game. 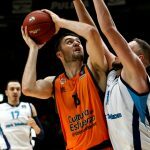 Adam Waczynski powered Malaga to victory with 16 points, five rebounds and three assists.